IBS is proud to announce the launch of ‘The Cat Monk’, a mobile game for iOS and Android platforms designed, developed and published by 2 Pi Interactive Pvt. Ltd., Bangalore. This company is co-founded by Prof. Surjyabrat Buragohain, Adjunct Faculty, IBS Bangalore and Siddhartha Reddy Burri an alumnus of IBS Bangalore, class of 2010. Prof. Surjyabrat, an MBA in Finance and Entrepreneurship from Queensland University of Technology, Australia, is an entrepreneur, and has co-founded three start-up companies. He is the CEO of 2 Pi Interactive Pvt. Ltd. and also mentors student entrepreneurs and start-ups. Prior to embarking on the entrepreneurial journey, Prof. Surjyabrat worked in the areas of Human Resource Management, Business Development, Financial Management and Strategic Management in the oil and gas industry in India and Singapore. Siddhartha Reddy Burri, an avid game lover, is passionate about technology. He did his Bachelors in ECE from M.G.I.T Hyderabad and worked with VLSI systems at RCI, D.R.D.O in the field of O.B.C. (VLSI technologies) before pursuing MBA at IBS with Finance and BI (Business Intelligence) as major. He authored a research paper on ‘Quantitative Trading’ as a part of his ‘Management Research Project’ and got invited to lecture at reputed Financial Engineering Events by IEEE & WASET at China and Singapore respectively. Siddhartha is the Game Producer at 2 Pi Interactive Pvt. Ltd.
Another IBS connection to the game is Roshan Manchikalapati, an alumnus of class of 2010. After completing BBA in Advertising and Communication from INC (ICFAI National College), he joined IBS for his MBA, which unfolded a new dimension to his life with business education and opportunity to network with people who mentored him. His placement was with Shoppers Stop as an Operations Manager. Things were going quite good yet something was not good till he realized the truth that there is dreamer and gamer still alive in him and started writing a design and joined the 2 Pi team. A dreamer from childhood, a gamer from teens, and a designer by heart, Roshan is the Creative head at 2 Pi Interactive Pvt. Ltd. He is the designer of The Cat Monk. We would like to congratulate the team for this effort, and wish them all the best for their future endeavors! Snapshots of the team behind “The Cat Monk”, at work in 2 Pi Interactive Pvt. Ltd., Bangalore. How does an MBA help aspirants from different backgrounds? A management program attracts aspirants from diverse professional backgrounds and academic streams such as humanities, arts, life sciences, engineering, and medicine to name a few. Unquestionably, for students coming from commerce or business management streams, the most popular choice is to pursue a post-graduate program in management. Over the years,there has been a marked increase in the number of applicants equipped with a professional qualification,seeking admission to a management program, which empowers them with the managerial skills needed to compete in the competitive business environment. Generally, a post-graduate program in management is offered in different disciplines such as Human Resources, Information Technology, Operations, Finance, Marketing,and International Business to transform the students from varied educational backgrounds and interests into business leaders of tomorrow. An important question is how this program adds value to the current skill-sets of students from different disciplines to qualify them to be competent and successful in the business world. A management program lends you an insight into the operations management, helping you to develop an understanding of the complex processes, involved in the functioning of a business enterprise, and how they impact the working of an enterprise. It gives you an in-depth understanding of the activities involved in an enterprise to ensure its optimal functioning such as project planning and budgeting. Above all, it makes you aware of the critical factors required to manage people effectively. A management qualification is very much desirable amongst the engineering graduates too. All engineering graduates may not want to get into core engineering jobs or into research or academics. Some of them might want to lead engineering teams and initiatives soon enough. Getting management education would be first step towards acquiring leadership qualities. There could be cases where some budding engineers may realize that their interest lies not in exploring the different branches of engineering but in statistical analysis or financial management. A finance management course may again come in handy as it helps achieve a thorough understanding of different focus areas such as investment banking, financial management, corporate finance and managerial accountancy. It also helps in enhancing financial decision making skills, adding value to the core skills acquired earlier. With the help of the case studies and other learning methods, it makes you capable enough to take up the responsibilities and challenges related to investment and finance in the business world. Equipped with an engineering qualification along with a postgraduate diploma in business management, you can prove to be the right mix of technical knowledge and management expertise. On the trend in medicine graduates opting for management education, some people might question the utility of such a choice. Being qualified in medicine does not mean that you must restrict your options to medical practice in a hospital within your domain of specialization. Your dream can even be to start your own nursing home or a chain of drug stores in the long run. To be able to nurture your dreams into reality, you must have managerial expertise required to kick-off your business venture and run it smoothly. At such a stage, what can be a better choice for you than an MBA, which in a short span of two years, makes you adept in the different knowledge areas of management, giving you an edge over your counterparts. 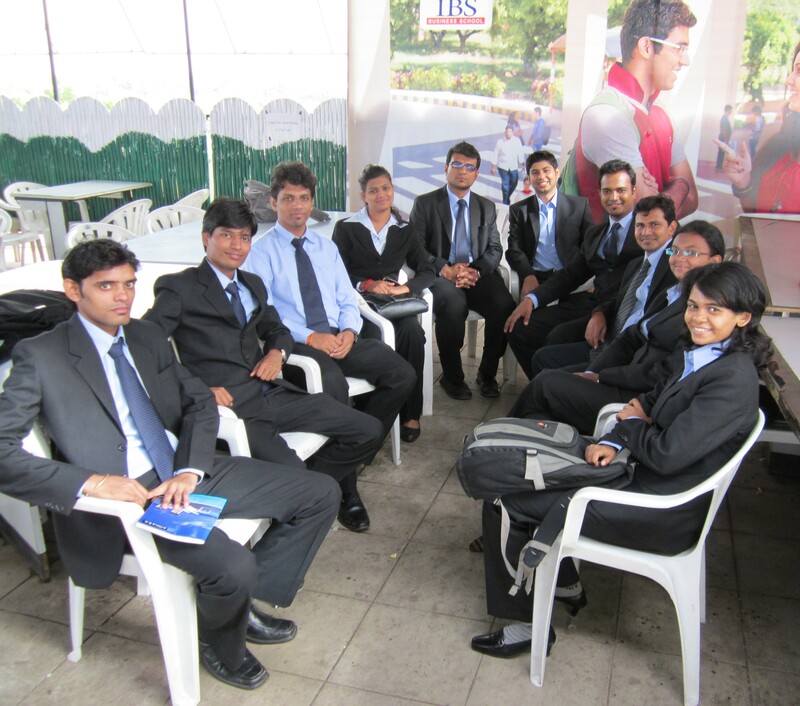 A large number of MBA aspirants also come from Social Sciences such as Psychology, Sociology and so on. Talking about Psychology, it is a discipline specific to the study of human behaviour under different circumstances. A psychology graduate may feel the need to complement his or her qualification with a PG diploma in management with specialization in human resources, which might make it easier to become an HR professional. A combination of psychology and human resource management can build your career at a faster pace. Consider a case where one of your colleagues has a conflict with his supervisor on some grounds and resigns from the job. In such a situation, you may have to strategically resolve the conflict as an HR professional, thus helping in relationship building and inculcating the spirit of team work, resulting in improved productivity. Human resource management endows you with the skills and techniques pertaining to the different concepts of HR such as gauging emotional intelligence and competency mapping. This scenario throws light on only one dimension of the human resource management while there are a number of functions within human resource management. Similarly, graduates from sociology may find managerial roles in NGOs or other social organizations. They might even want to become social entrepreneurs. At the same time, aspirants with education background may cross the line and instead of acting as teachers and trainers, they may aspire to become administrators or managers of educational institutions. Life sciences too, is witnessing a drift with the graduates in microbiology and other streams inclined towards pursuing management education so that it helps them to cope with the problems and difficulties of the business world. With technology reigning the world these days, a management program in information technology will help a graduate in life sciences with his research assignments and make him more competent. This program equips you with all the skills and technologies mandated to be successful in the highly advance environment of today. Management professionals coupled with technical skills steal the show in the unpredictable business world these days. An MBA program covers a wide range of marketing topics such as consumer behaviour, competitive marketing strategies, sales and distribution management and product management, which help you, gain an insight of their practical applications together with theoretical concepts. You acquire the skills to design competent marketing strategies targeted towards specific consumer segments to ensure brand loyalty, and develop creative and innovative skills, for meeting customized consumer preferences. Irrespective of your prior educational background, you can gain fresh knowledge on unexplored areas and yet excel in them. On a broader perspective, a post-graduate program in management widens your dimensions and shows you a perspective that helps you exploit your strengths, pursue your interest as well as utilize your current qualification. So we see that a management program can add value to the knowledge and skill-sets of fresh graduates or experienced professionals, irrespective of the diverse educational streams that they come from. It enables individuals to acquire the traits of a successful professional that are required to manage oneself, a workforce or an enterprise. With the recession and the dropping economy, most of the students and the parents developed apprehensions about joining a management program. Also, with the boom in the education sector, we saw emergence of several institutes, coaching, and universities developing everyday with new range of courses. Thanks to the Reality TV, even the professional courses got a jump and the Indian population suddenly started looking at the professional courses which were about hobbies and passion. People could relate to them as careers as they too started offering good money and constant workflow. We see a lot of students and the parents – who have this dilemma of why an MBA holds better prospects than the professional courses when they are offering quicker placements, are charging lesser fee and are comparatively short-term. The comparisons are fine but they are not futuristic. Most of the times – the packaging of these courses is so fine & perfect that they the students give-in to the outwardly glamour of the offering. We do not say that the professional courses are not good. They are good, they add value to one’s career, they help in earning a living and they shall be pursued. But this comparison is not fair as MBA is something which empowers one to excel further in their careers. It is not just about education and knowledge; it is about attitude and practice. It is about experiential learning through real time examples, trainings and assignments. MBA is a level up to these courses. It broadens the horizon of a human brain and helps them think different and teaches us how to chase the different dream and go ahead to follow it. MBA education covers a holistic perspective of business & economy. The course is designed in such a way that it provides you with an overall view of things, businesses and people. The limitations of knowing just thing vanishes in an MBA program as it makes the person learn with a wider perspective, it enables a group dynamics and hence helps the students get a broader insight about people and practices. In management education, like we mentioned lot of learning happens through practice, through working together and thorough exposure of the outside world is a need for successfully completing the management education. For me, B-School is where you meet people — your classmates, faculty, speakers, recruiters. MBA fosters the need to be well networked in the students who pursue this course. It enables a person to learn in team and enhances the group productivity. Unlike short term courses it enables – better sharing of knowledge and tactics among the student groups. If I give a thought to the networking opportunities an average student at IBS gets in an MBA Program. Initiating right from the day one of joining, a student not only meets the batch mates and the teachers but also gets to connect to various other B-school students & corporate in the management festivals, the corporate exposure during the Summer Internship and the Management Research Project further facilitate the students in networking. Then there is the largest Alumni base – which is an existing network for all those who join the bandwagon. The Corporate sector now demands people who believe in becoming the ‘Jack of all trades and master of few’, gone are the times when just one qualification/ specialization was enough to work, excel and grow. Times have changed and so are the recruiters and employers. An MBA Program allows you to work in more than one sector. Some B-schools including IBS offers dual specialization to help the students excel in two different profiles. Even the job roles these days demand a variety on skills & knowledge. A multi-talented person is always preferred in a group, among friends and even for a job. Mentoring is a unique concept of b-schools. No other courses, degrees offer you a faculty guide and project mentors and that restricts the personal growth and change in attitude which is required at the onset of corporate lives or jobs. An MBA programs offers you faculty guides, corporate mentors who provide the required hand-holding at various junctures of learning & training and we believe these are one of the most significant shaping stones for any student or trainee. Whereas, most of the professional courses, students are left on their own – with the lecture-listener-examiner relationship. A management program helps students attain & develop many new skills during the program. Let us take an example of a management festival or an art conclave; the students who participate learn new skills while managing the show. The team who works on sponsorship – learns to manage finance & relationships, some learn hospitality, others learn team management and some learn leadership. These skill-sets help the students in growing early as they are exposed to certain situations, they have worked before in teams and hence they know about it. A good b-school ensures they work on this overall learning pedagogy and hence the students get better packages as they truly deserve it. In the above points, we have talked about – how an MBA changes the perspective, the personality and the skill-set of a person. It broadens the horizon and hence makes then think about the business perspective. It develops a thought process which is led by logic and the students are empowered enough to get into the technical know-how of things to understand them. IBS has got an exciting base of alumni who are now entrepreneurs and to continue the trend, there is an Exclusive Entrepreneurship Cell which allows the students to dream big and help them in turning their dreams into reality. The reasons slated above are few of many but are all time-tested. Any knowledge or skill attained helps the growth of an individual but when you have to choose something better; MBA certainly offers the brownie points. The horizons have never been wider when young India wants to choose a career. The choices start wooing the talent even before the young citizens of India get their voting rights. The career-sphere includes well-defined careers in media, journalism, performing arts, photography, image consulting, and a bunch more than just the conventional age-old trusted options such as engineering, medical, and academic jobs. As individuals, we might think differently and our areas of interests may vary between two extremes, with choices ranging from making a career in the field of stock broking, business management, arts, social work, politics, entrepreneurship,among a range of diverse career options. No matter what we choose, we need some professional qualification that helps us in meeting our goals faster.We look for an educational program that endows us with those must-have skills that helps us make our mark in the competitive environment. Studies have shown that a person backed by a professional qualification stands a better chance to successfully face the challenges of the real world, compared to a graduate without a professional qualification.Consider a case in which a person after completing graduation is employed with a recruitment firm at an entry-level position. Without thorough knowledge of Human Resource Management, this person might take much longer to learn, perform and excel at work. She would need to rely more on guidance from seniors and wouldn’t be equipped to take any quick decisions that are based on HR principles and practically proven ideas. According to some fresh management graduates, a 2-year full-time management program equipped them with the competencies required to scale new heights and set new standards in the real world.They believe that the program they went through proved to be pivotal in inculcating the right attitudes in them to face the challenges of the business world. It made them more competent in their sphere of work, taking them closer to their goals. The teaching methodology followed in a full-time management program is primarily through experiential learning such as through case studies, which gives it a defining edge over other academic programs.Adopting a case study methodology is an effective strategy that helps in developing analytical and problem solving skills as well as finding solutions to the complex business scenarios. It also helps in developing an understanding with respect to the widely varying perspectives in which the case can be seen and the different ways by which the problem can be addressed. Summer internship programs are also an integral part of the management education,preparing you to take up the challenges of the real world in future. Making presentations on different topics of management also helps in increasing your level of self-confidence and knowledge. Enhancing communication and interpersonal skills are some of the important focus areas of a management program. Developing these skills make you more competent to make a good impression in business meetings and winning over the relevant stakeholders. Effective communication helps in developing and maintaining relationships that result in bringing benefits in professional as well as personal lives. A post-graduate program in management, thus, rules the roost and has been the most sought after professional curriculum. It equips the students in a relatively short span such as two years with learning and knowledge, primarily gained from practical exposure to various simulated situations powered by real time business environment. Helps professionals in acquiring knowledge, getting different perspectives, and new skills. Offers better career prospects in the long run with the possibilities of starting your career from a middle management level position. Helps you to buildyour professional networkin the industry, which keeps you updated on the latest happenings in your specific field and may also help you to take hold of any opportunity that comes your way. Provides a holistic approach which makes you receptive to the changes in the business environment and provides you with an in-depth understanding of the business world. Today—owing to the increasing competition in the market amongst different sectors pertaining to diverse lines of business—the need for hiring specialised personnel has also increased manifold. This has lent diversity to the management program,providing a multitude of options to choose from—depending on aspirants’ needs and convenience such as full-time curriculum, part-time and distance learning programs. There are MBA programs that are designed for working professionals who, choose to go for continuing education after gaining some work experience and without quitting work for studies. In current market scenario, good MBA programs are much in demand and offered in almost all the major disciplines to cater to the growing need for specialized workforce,in different lines of business across all sectors and industries. To help equip the potential employers with skilled manpower, management programs are being offered in various disciplines such as Human Resources, Information Technology, Operations, Finance, Marketing, and International Business to help today’s workforce come aboard with must-have skills in this age of cut-throat competition. One of the most important decisions you need to take is to zero in on a management college that will help you in realizing your dreams. With an upsurge in the demand for management education, the number of management colleges mushrooming everywhere in India,has gone up. Hence you need to make a conscious choice with regard to the respective college and the field of specialization that you want to pursue, which will play a critical role in taking you one step closer to your dreams in the long run. Today, a 2-year post-graduate program in management is considered the top-most choice for students ready to embark on their journey to meet the ever-changing demands of the corporate world.The increasing competition in the corporate world that has ushered in an era of skilled workforce, which in turn has increased the demand for MBA professionals because of its well-structured curriculum that gives the students learning with due focus on the practical implications to face the challenges of the business world. The Banking Domain is a complex one. India has 88 scheduled commercial banks (SCBs). Of this there are 27 public sector banks (with the Government of India holding a stake), 31 private banks (these do not have government stake; they may be publicly listed and traded on stock exchanges) and 38 foreign banks. They have a combined network of over 53,000 branches and 17,000 ATMs. The oldest bank in India is the State Bank of India, a PSU that was initially set up in June 1806 and is currently the largest commercial bank. Central banking ,for which the Reserve Bank of India (RBI) is responsible, took over these duties from the then Imperial Bank of India. After India’s independence in 1947, RBI was nationalized and given a wider scope to exercise its powers and judgment. According to a report by ICRA Limited, a rating agency, the public sector banks hold over 75 percent of total assets of the banking industry, with the private and foreign banks holding 18.2% and 6.5% respectively. Over the last two decades, the Reserve Bank of India (RBI) licensed twelve banks in the private sector. This happened in two phases. Ten banks were licensed on the basis of guidelines issued in January 1993. The guidelines were revised in January 2001 based on the experience gained from the functioning of these banks, and fresh applications were invited. The draft guidelines on ‘Licensing of New Banks in the Private Sector’ were framed taking into account the experience gained from the functioning of the banks licensed under the guidelines of 1993 and 2001 and the feedback and suggestions received in response to the Discussion Paper. What does a ‘Commercial’ Bank do ? At the most basic level, what banks do is fairly simple. It Accept Deposits and Make Loans. Banks accept deposits from customers, raise capital from investors or lenders, and then use that money to make loans, buy securities and provide other financial services to customers. These loans are then used by people and businesses to buy goods or expand business operations, which in turn leads to more deposited funds that make their way to banks. If banks can lend money at a higher interest rate than they have to pay for funds and operating costs, they make money. Can all Commercial institutions which give out loans be called a Bank ? No . Non-bank financial companies (NBFCs) are financial institutions that provide banking services without meeting the legal definition of a bank, i.e. one that does not hold a banking license. These institutions typically are restricted from taking deposits from the public depending on the jurisdiction. Operations of these institutions are often still covered under banking regulations. However NBFCs are typically not allowed to take deposits from the general public and have to find other means of funding their operations such as issuing debt instruments. Thus, their Cost Of Funds is usually higher than that of a bank. What Role does RBI play in the Banking industry? Formulates, implements and monitors the monetary policy. Objective: maintaining price stability and ensuring adequate flow of credit to productive sectors. Prescribes broad parameters of banking operations within which the country”s banking and financial system functions. Objective: maintain public confidence in the system, protect depositors” interest and provide cost-effective banking services to the public. Issues direction, calls for returns/information from payment system operators. Manages the Foreign Exchange Management Act, 1999. Objective: to facilitate external trade and payment and promote orderly development and maintenance of foreign exchange market in India. Issues and exchanges or destroys currency and coins not fit for circulation. Objective: to give the public adequate quantity of supplies of currency notes and coins and in good quality. Performs a wide range of promotional functions to support national objectives. Banker to the Government: performs merchant banking function for the central and the state governments; also acts as their banker. Banker to banks: maintains banking accounts of all scheduled banks. Thus , it is the primary regulator and monitor for the Financial System – Banks and NBFCs- in their activities . the quality of surveillance and supervision exercised by the Bank over the NBFCs is sustained by keeping pace with the developments that take place in this sector of the financial system.